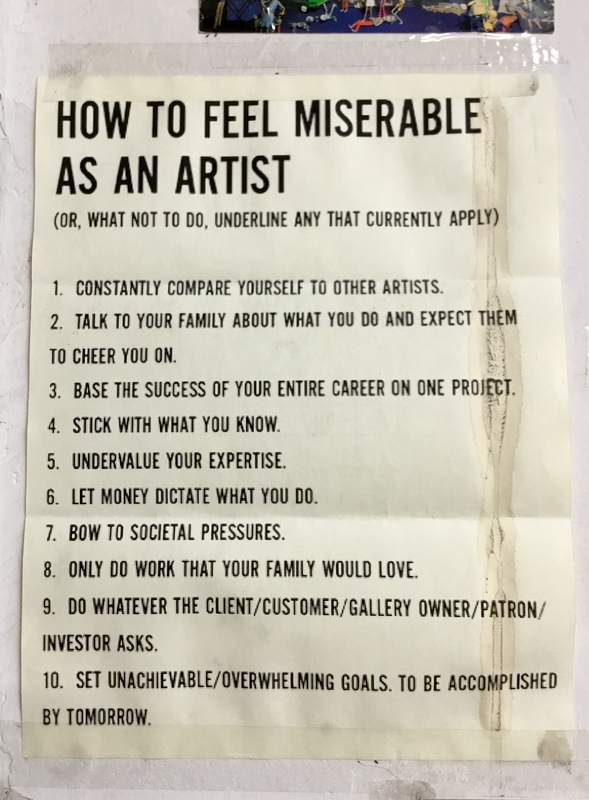 Posted on April 6, 2019, in An Artist's Life, Creative Process, Inspiration, Studio, Working methods and tagged artists, found, How to Feel Miserable as an Artist, list, remember, reminded, Studio, wall. Bookmark the permalink. Leave a comment.